Multiple Juno Award winner, Jane Bunnett has turned her bands into showcases for the finest talent from Canada, the U.S.and Cuba. She has been nominated for Grammy Awards, numerous Juno Awards, and most recently, was honoured with an appointment to the Order of Canada. An internationally acclaimed musician, Jane Bunnett is known for her creative integrity, improvisational daring and courageous artistry. Her exploration of Afro-Cuban melodies expresses the universality of music and her ability to embrace and showcase the rhythms and culture of Cuba has been groundbreaking. She has toured the world bringing her own special sound to numerous jazz festivals, displaying her versatility as a flutist, saxophone player and pianist. As an educator, spokesperson and social activist, she remains unafraid to explore uncharted territory in her quest for excellence! 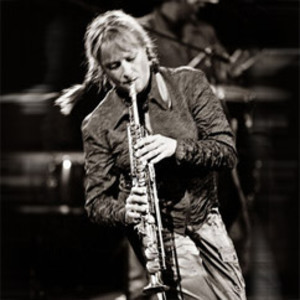 With an honorary doctorate from Queen's University, Jane Bunnett, the Toronto soprano saxophonist, flutist and bandleader, has built her career at the crossroads between Cuban music and jazz. Twice nominated for Grammy Awards, (Best Latin Jazz Recording 2002 for Alma de Santiago and 2003 for Cuban Odyssey), a fixture of nominations for Canada's Juno Awards, winner at Canada's Urban Music Awards for Best Global Recording in 2003 for Cuban Odyssey, and honoured with an appointment to the Order of Canada in 2004; Toronto's own jazz virtuoso has turned her bands into showcases for the finest musical talent from Canada, the United States and Cuba. Upheld by the likes of Paquito D'Rivera, the great Cuban saxophonist, Jane Bunnett is truly one of Canada's most valuable artistic resources. Bunnett's Cuban connection started in 1982 when a trip to the island with husband Larry Cramer turned her musical world upside down. Everywhere Bunnett and Cramer went they found drummers whose rhythmic complexity liberated the senses; horn players who deployed amazing dexterity in the service of heartstopping lyricism; and pianists who could make any decrepit old upright roar like doom or sing like a heart in love. No fools, they took their horns and played along. ?Over the years I developed relationships with some of Cuba's legendary musicians,? Bunnett recalls. ?I've had a great opportunity to learn the music in the streets and in the homes of these celebrated talents? and that's what has fueled my vision.? Since then Bunnett has moved from strength to strength, touring internationally and recording a string of critically lauded albums. Her house in Toronto's west end has become a home away from home for a growing number of extraordinary young Cuban musicians who've migrated to Canada, many of whom have played in her group, The Spirits of Havana. Bunnett's recordings Embracing Voices, Radio Guantanamo, Cuban Odyssey, Alma de Santiago, Ritmo + Soul, Chamalongo, Havana Flute Summit, Jane Bunnett and The Cuban Piano Masters and her acclaimed first recording in Cuba, Spirits of Havana, have explored and combined elements of Cuban roots music with traditional contemporary jazz. Her newest release, Embracing Voices is an exciting departure from Jane's past efforts, as it is the very first time that the majority of the tracks include vocals and guest vocalists, something that until now, Jane had never done. Today, Jane Bunnett is a very recognizable name in the World Music and Jazz scenes but she has yet to crossover to mainstream audience, that is, until now! With Jane's love of the human voice as an instrument and past collaborations with a variety of vocalists at special events such as the yearly ?Global Divas' event, Embracing Voices is her very first recording where all of the tracks include the vocal talents from some of the Jazz & World scene's best and includes songs in English, Creole and Spanish! From the jazz world, both established singer songstress Molly Johnson and up-coming jazz diva Kellylee Evans lend their unique vocal styling to the project. From the world scene, Cuban rap star artist Telmary and Grupo Vocal Desandann, an extraordinary Cuban vocal group of Haitian descent are included. This very unique and world renowned ensemble is composed mainly of second and third generation Haitians who were born and raised in Cuba, and bring their incredible history and lineage to this project with vocal performances that demand attention!